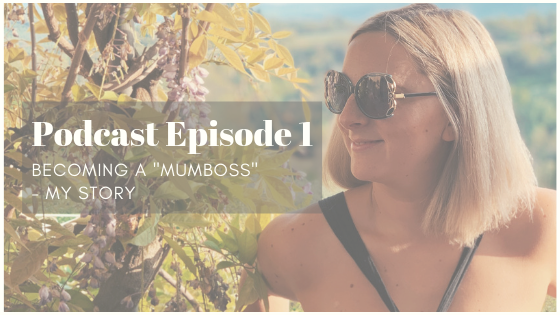 Hopefully you’ve read about my podcast launch and I’m so excited to bring you my first episode: Becoming a mumboss. I wanted the first episode to set the scene, introduce myself and tell you about my personal journey of leaving the 9 to 5 after being made redundant on maternity leave. I really hope you enjoy it and that it brings some inspiration and mojo. If you follow me on Instagram, you’ll hear me talking a lot on my stories about time or lack thereof! As a working mum of two, I run my own businesses and therefore maternity leave this time round was non-existent. Instead, I was back to work with my 2-week old baby and he comes everywhere with me: to meetings, events and coffees. I wouldn’t have it any other way but I have never been so fixated on time as I am now, purely because, there just isn’t enough hours in the day! Being a “mumboss”, the juggle is real! I find I have to slip effortlessly from mum, to content creator, to CEO, to wife and back to mum again – sometimes all within the same hour! I’ve been thinking about my 2019 Goal Setting for well over a month now but will admit, I haven’t put pen to paper just yet. Mainly because I’ve not a spare moment of time, but also because I’ve felt like there was still a lot “up in the air”. I’ve felt in limbo for a couple of a months, questioning absolutely everything, particularly the juggle of motherhood and a start-up business.